Industrial Bearings & Services believes in giving our customers as much knowledge and insight into the products they need as is possible. Serving Southeast Texas at large and Houston predominantly, we have made it our business to know all there is to know about products like Gear Reducers. Now, that knowledge is yours. Our leadership team is available week-in and week-out to answer your questions and provide you with all the insight that our combined 200 years of experience has netted us. Whether it’s their use, delivery/pickup, selection or just an opinion you’d like to inquire about, we’re here to serve you. Gear Reducers are the instruments that change energy output in one part of a mechanism and redirect it into another mechanical component of the same mechanism to increase function. Gear Reducers take a number of different forms. That is an important thing to note. It will determine a lot about your own selection process when you’re ready to take that step. Also named “gear boxes/shifters,” Gear Reducers are standard transmissions. They promote safety in that they reduce the velocity of rotary equipment. 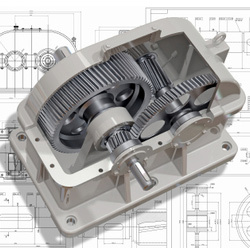 Gear Reducers, in their most elementary form, are noted by their mechanical dimensions, as well as the set ratios the gear reduction is taking place at. To achieve a more thoroughly honed reducer, one might allow both mechanical dimensions to vary, without the change to the gears themselves. Our goal has always been to provide as much understanding about our products as possible. If you find yourself needing to know more of the specifics of Gear Reducers, such as the differences and comparisons between a Helical-Bevel Gear Reducer and a Screw Conveyor Gear Reducer, you can contact us via email at sales@ibshouston.com or give us a call at (281)-582-0315. Of course, there is also always the option of an in-store visit to discuss Gear Shifts more in-depth with one of our experts. We’re only ever a short call away. You could have your new Gear Shift in hand and applied to your apparatus in no time at all.